Hello. Yes please fix that. It was one of the most hated things for me as a younger player of StarCraft. Couldn't lay Spider mines, Interceptors from Carriers broke the game in a 4v4. Larva stopped spawning. Etc. I'm sure you are well aware.Since you've identified this problem already, I'm ecstatic to see what you can do. Keep up the great work, seriously. Love everything. I'm a StarCraft veteran 1v1 Player and I can say that everything you've done to vanilla is just great. Keep it up. Blizzard is doing great things for their community. and why does it ruin my expierence? freezes my game and whole computer for about a whole 2 minutes, have to hit the sleep button on it to unfreeze it. wtf. Dragoon stops moving for no reason. @Traysent Well done! Love it! Can't remap control groups? Still have that 12 unit limit to select? PERFECT !!!!!!!!! Keep it that way please! :)I still don't know if I will remap the hotkeys, to keep that broodwar classic feel, but who knows. :)Keep up the amazing work. 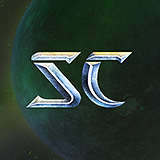 Stop Asking for SC2 Improvments!